Our Treatment Room is well equipped to deal with any wildlife emergency that comes in. 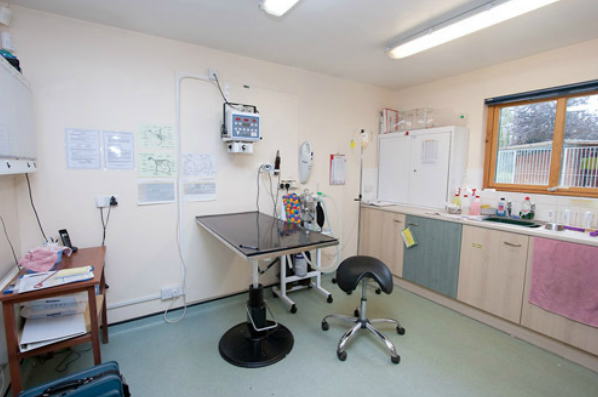 We have anaesthetic and x-ray facilities as well as everything else necessary for dealing with wounds, fractures, shock, dehydration and illness. All casualties admitted to the Hospital are brought to this room for an initial examination and assessment before being given fluids and immediate first aid treatment. Their ongoing medications and any other necessary treatments are worked out before the casualty is taken through to one of our three wards. 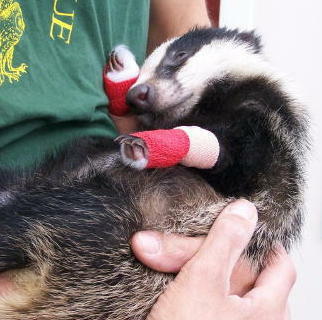 Most of the injuries that we deal with are caused by humans, although usually accidentally. 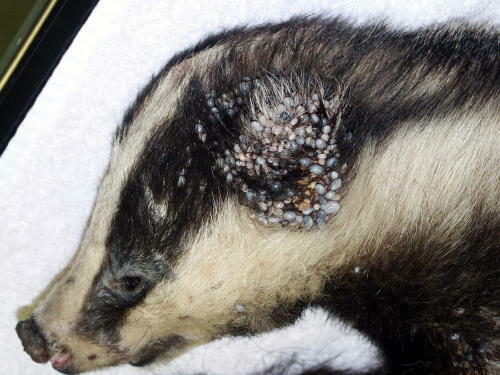 Some of them however, have problems that are nothing to do with us, such as the badger (see below) which was covered in literally hundreds of ticks. 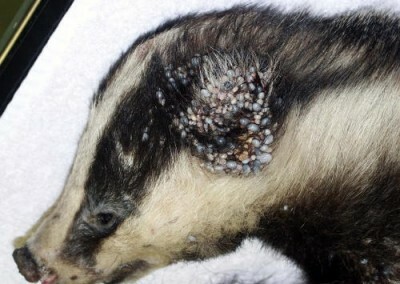 A small number of ticks do not generally cause any problems, but a huge burden such as this could easily cause anaemia, and possibly lead to the death of the animal eventually. We deal with many fishing-related problems and injuries every year. 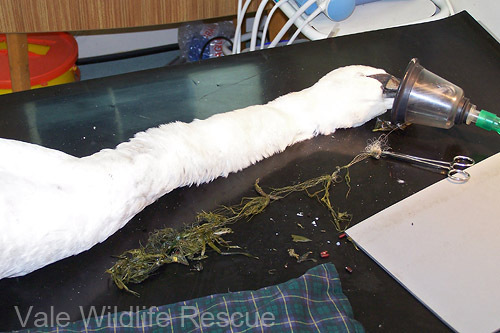 The pictured swan had partially swallowed line and weights which had lodged half way down her neck. Any food that she tried to eat could not get past the blockage and so, although she was trying to eat, nothing was getting down. 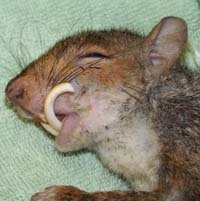 We removed the line and the mass of food stuck in her throat, and as soon as she came round from the anaesthetic she ate and ate and ate! !